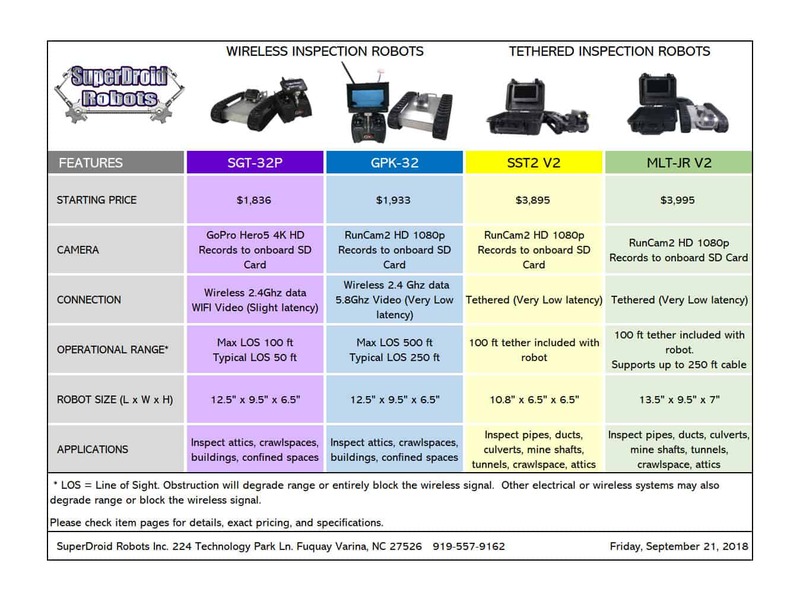 Four Inspection Robots with HD Cameras ranging from $1836 to $3995 at SuperDroid Robots. Our budget Inspection Robots are available in Wireless and Tethered models and come equipped with an HD 1080p or better camera system with recording capabilities. Click the chart to view a larger image. See our full line of Inspection Robots.